South Africa is a huge country. It is also incredibly diverse, promising anything from the lush, indigenous forests of the Tsitsikamma to the dry, cracked clay of the Kgalagadi river beds. Remote beaches, wild life reserves deep in what remains of true African bush, mountains that tower thousands of metres above sea level, skies filled with stars, and the vast, lonely expanse of the Karoo are but the first few on a list that reads like a treasure trove of collected highlights of a world tour. Cape Town is a cache of beaches. Swimming beaches, beaches for diving, beaches for kids, surfing, swimming with dolphins or seals – the city has it all. Not all of them are free of crowds, however. You will find Scarborough between Misty Cliffs and Simon’s Town, on a remote part of the Cape Peninsula. The beach feels spacious at any time of the year, the waves are perfect for surfing and swimming,there are rock pools to explore, and huge mussels to extract from the rocks at low tide (provided you’ve a licence). There is also the folksy Camel Rock Restaurant close enough for a quick beer and a meal. We recommend a walk in either direction – Misty Cliffs or Cape Point. The Tankwa Karoo National Park lies on the border of the Western and Northern Cape provinces; closest town: Sutherland. 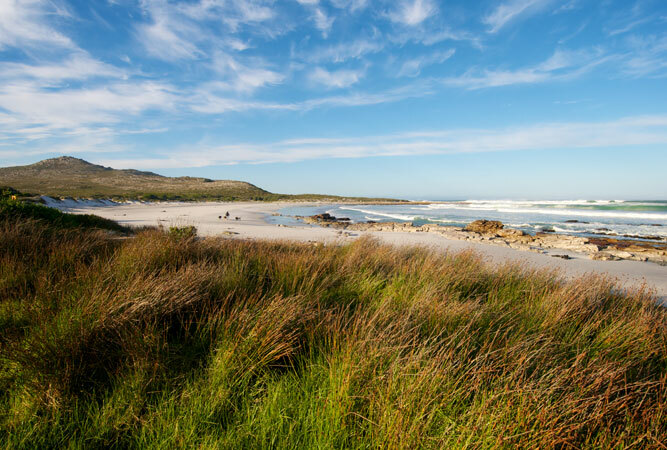 It is only two hours’ from Cape Town but be warned: there is neither lush scenery nor crowds. 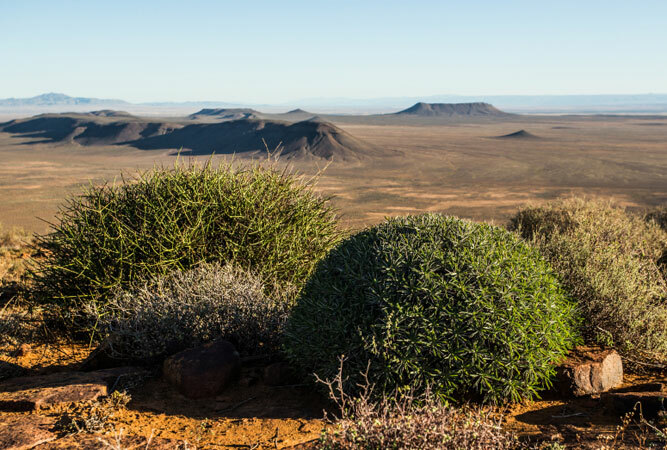 Instead the semi-desert starkness, Karoo scrub, vast open stretches, mountains, dust and blistering river clay take some getting used to, particularly in summer (autumn and spring are best). Camp sites are little more than a tree in the middle of nowhere. You would be hard-pressed to beat the night skies or the morning sunrise. 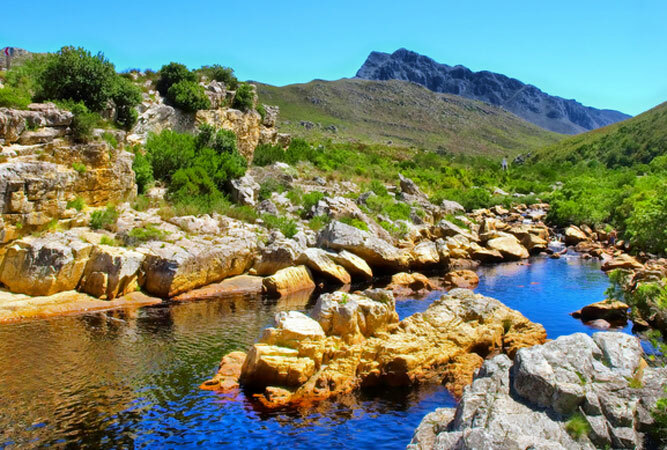 At the heart of the Kogelberg Biosphere (which stretches for 1000 kilometres between the Atlantic Ocean and the huge sandstone mountains close to Kleinmond, encompassing the most complex biodiversity on the planet) is what is described as an ‘exceptionally untouched’ core conservation area – the Kogelberg Nature Reserve. Anyone who has walked up the Palmiet River will expound about the beauty and the sheer ‘Bilbo Baggins’-type experience of the trail into the mountains. The walk to the ‘beach’ – a sandy bank on the Palmiet River that is both peaceful and remote – is an easy hike for families and friends. 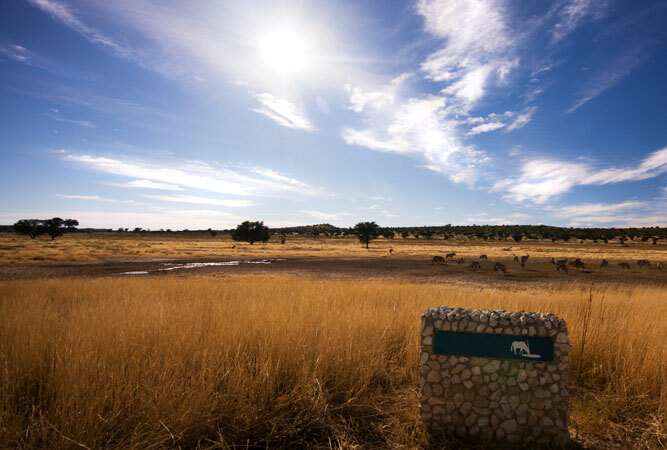 The Kgalagadi Transfrontier Park straddles the border of South Africa and Botswana, way up in the nether reaches of the Northern Cape (960 km from Johannesburg and 1100 km from Cape Town). The sprawl of the park (3.6 million hectares), the intensity of the rugged, sandy barrenness, and the extremes in temperature and rainfall (rain is either torrential or non-existent) make it an extraordinary experience, although you may have to wait over a year for accommodation in one of the camps. Don’t expect any creature comforts from this particular experience – there are no fancy Drakensberg hotels this deep in the mountains. But the beauty of the experience is unparalleled. 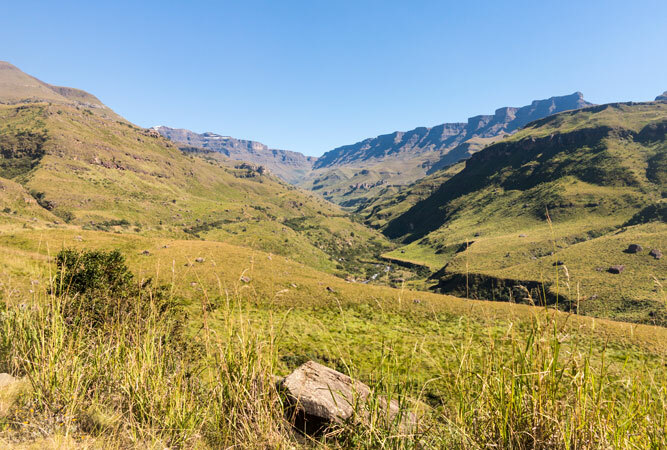 Caves with names like Marble Baths, Spare Rib, Nutcracker and Pholela, in the uKhahlamba Drakensberg Park, are just a few of the many from which to choose – if going without hot or cold running water and a bed, in a crack in the rocks from which you can spy the sun rise is your kind of thing. Thick indigenous forest (only 65 000 hectares of the original 250 000 hectare forest remain, so head to the more remote areas like the Diepwalle section), tall yellowwoods, massive tree ferns, the cacophony of bird song, frogs, millipedes and the ever-present promise of maybe, just maybe, sighting the lost elephants that we know are there (but hardly anyone has seen). The elephants of the Knysna forest are the southern-most elephants in Africa, and the only unfenced elephants in the country. ps: take the bug spray. 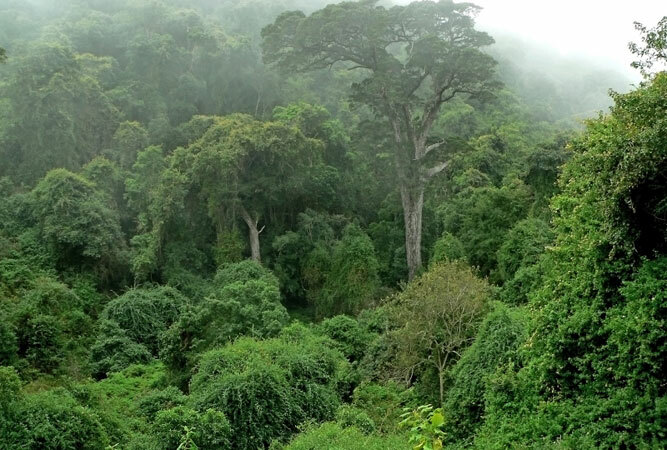 The Woodbrush Forest Reserve is the second-largest indigenous forest in Africa. Through it winds a 14 km dirt road called Woodbush Drive, known as the best forest birding route in Limpopo (there are those who would argue, the best in the country). 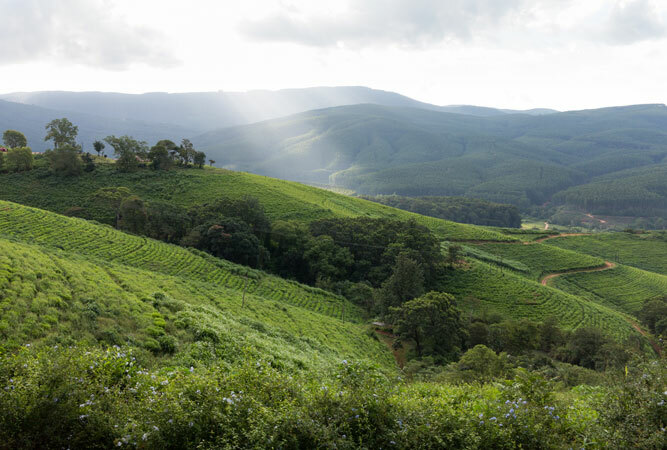 Magoebaskloof is the ‘land of the silver mist’ – an area endowed with afro-montane forest and semi-deciduous mixed forest where catching a glimpse of the Cape parrot is not out of the question. The forests are overgrown, moist and dense, whilst overhead giant tree tops are often in the clouds. In the forest reserve find the world’s largest planted tree (a 97 metre-high Sydney bluegum). It doesn’t get much more remote than Coffee Bay. 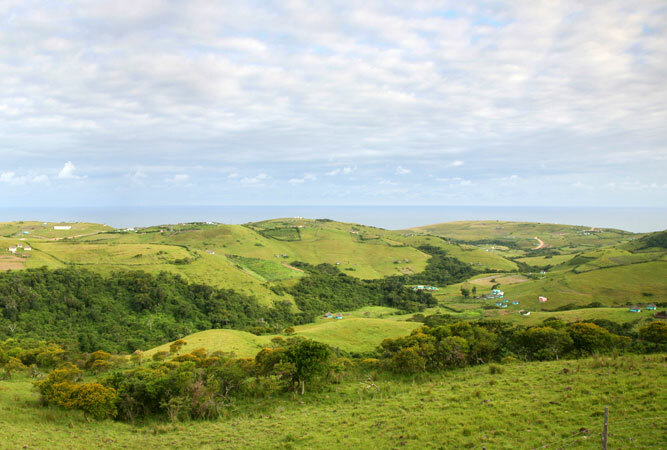 Getting there is something of a trek, but if you’re travelling the Wild Coast by Baz bus (and chances are, you are, for Coffee Bay’s backpacker hostel is regarded as the place to party) then you will have to get a lift the last 100 km or so from Mthatha (where the bus stops). The beauty of the place and the slow pace of life will mean you stay longer than you thought you would. Phone and internet connectivity are haphazard at best.